On March 8 in Caracas, Raúl Castro, looking somber, stood in a place of honor beside Hugo Chávez's casket during the late Venezuelan president's state funeral. Castro was no doubt pondering what Chávez's death means for Cuba's ambitious economic reform program -- or "updating" of the economic model, as Cubans prefer to call it. 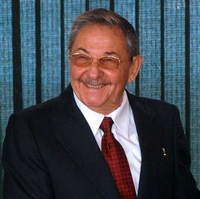 Not long after Chávez's first election victory in 1998, he and Fidel Castro signed the first of what would become more than 100 bilateral cooperation agreements. By the time Chávez died, Venezuela was providing Cuba with some 110,000 barrels of oil daily at subsidized prices, worth $4 billion annually and representing two-thirds of Cuba's domestic oil consumption. In exchange, Cuba provided some 40,000 skilled professionals, working mostly in health, enabling Chávez to extend health care into the poor barrios of Venezuela, thereby solidifying his political base.